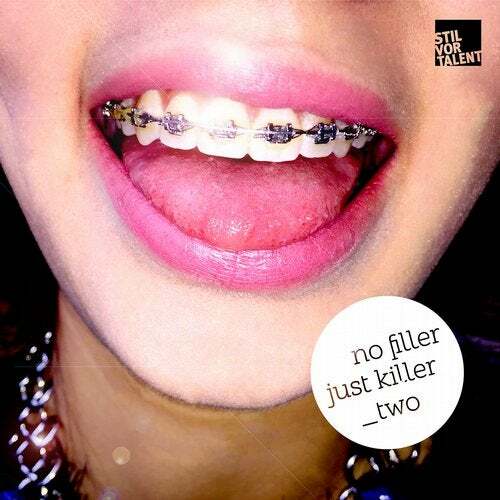 The second installment of No Filler Just Killer brings together a fresh batch of artists showcasing their dancefloor-ready weapons. Neapolitans Moonwalk finally release one of the hottest bangers of this summer and a Solomun favourite, Phenomena. Featuring fellow Italian producer Rafael Cerato, the groovy cut follows the producers outspoken motto of releasing quality deep house that doesnt keep track of trends. Kellerkinds Destiny slowly builds up on a gloomy, synth-laden bassline, sustaining a melodic tension even after the breakdown. Faint and discrete female vocal accents add an unpredictable depth and harmony, while metallic pads make up the backdrop. The third piece comes from Boy Next Door and unveils a rapid-paced pick up tune, where percussion sets the course. An array of synths, ranging from neutral to jarring add even more flow to the unrelenting dynamic of the track. We step into a dub infused area with Channel Xs Supernova, an otherworldly journey into spacious grooves lined up by restless zippy synths. The ever so charming KlangKuenstler is responsible for the closing number, entitled Drunk in Chicago. With a distinctively Chicago inspired tech-house lumpy bassline and rounded up synths, its an instant mesmerizer. After the hook, it only takes a wholesome drum pad loop to keep you on board and enjoy the ride.